Lactic acid bacteria can enhance product attributes, or cause them to be recalled or discarded due to spoilage, depending on how well it is controlled. ST. PAUL, Minn.--(BUSINESS WIRE)--In food processing, lactic acid bacteria can be friend or foe. Kept in check, these organisms help produce fermented foods ranging from smooth yogurts to crunchy pickles – and can even be leveraged for probiotic purposes. But under low oxygen, low temperature and acidic conditions, the bacteria can cause spoilage, discoloration, bloated packages and textures, odors and flavors that displease customers, trigger recalls and cause food waste. To help food processing companies streamline complicated labor intensive testing methods, 3M Food Safety introduces the 3M™ Petrifilm™ Lactic Acid Bacteria Count Plate with a more efficient, all-in-one solution for monitoring lactic acid bacteria levels in food products and manufacturing environments. The plate offers all of the time-honored benefits of the award-winning 3M™ Petrifilm™ Plates – simplicity, reliability, productivity, and sustainability – while eliminating the need for the costly anaerobic equipment used with traditional methods. For the first time ever, the 3M Petrifilm Lactic Acid Bacteria Count Plate combines oxygen-scavenging technology and oxygen-barrier films to create a self-contained anaerobic environment. Now food processors and testing laboratories can get true, accurate anaerobic results using aerobic incubation conditions, providing enhanced recovery of lactic acid bacteria within 48 hours. In contrast to traditional methods, 3M’s advanced technology can be used to test a wide range of foods and environmental surfaces. The company expects its plate will be especially valuable for manufacturers of meat, fish and poultry products, processed foods, produce, dairy products, and various dressings and sauces. If the test determines lactic acid bacteria levels are unacceptable, companies may want to adjust their processing conditions or intensify cleaning and sanitation. 3M Food Safety, a leader of innovative solutions that help the food and beverage industries optimize the quality and safety of their products to enable consumer protection and improve their bottom lines, is pursuing third-party scientific validations such as AOAC and ISO for its new technology. 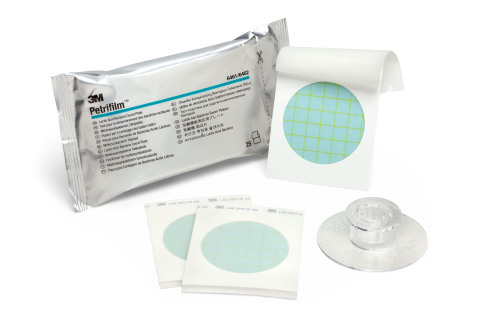 To order the 3M Petrifilm Lactic Acid Bacteria Count Plate, or learn more about it and related products, individuals can contact their local sales representative, call (800) 328-6553 or visit http://3M.com/foodsafety/PetrifilmLAB. 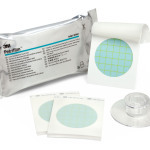 3M(TM) Petrifilm(TM) Lactic Acid Bacteria Count Plate (Photo: Business Wire).